Let our certified PPC Management team create, manage and monitor your very targeted FaceBook Ads campaigns while you sit back and relax. If you have just planned to run highly targeted Facebook adverts to skyrocket your business growth, don’t go vague. Trust only experts like us. 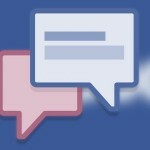 No one can manage your Facebook Ads the way we do. Our Facebook ad management team has successfully managed over half a million Facebook ads (for multitude of industries) for our clients so far. 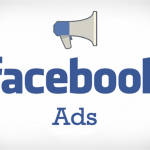 Our Facebook Ads Management Services enable you create, manage and monitor highly targeted advertising campaigns in few clicks. Get your abandoned customers back with tailored ads based on their activity on your site. Achieve highest ROI with Dynamic Product Ads. Interactive templates that pull images, product names, pricing and other information from your product catalog automatically. Show your buyers multiple products in a single ad. Multi-Product Ads offer your customers more options to choose from. They increase conversions. More the choice of relevant products a customer sees, greater the chance of them buying that from you. With our retargeting campaigns, bring most of your cart abandoners back to complete a purchase. Not retargeting your visitors costs you conversions and sales. Target your visitors with general offers, coupons, single and multi-product ads and more. 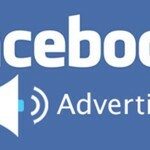 Our all-in-one Facebook Adverts Management tool helps you in managing every bit of your campaign. From creating your adverts to launching the adverts and tracking them to get insight into how well these campaigns are performing. Edit ad budget, ad audience, ad placement options and creative. Take in account real time real-time reporting to what's working and what’s not out of the campaign. Track performance trends over time. Our talented social media marketing professionals create FaceBook Ads after exhaustive study and understanding of FaceBook Ads management pre-requisites. The plan takes place only after considering your business goals, audience, and marketing budget.. With BrainPulses’s Ad Management, advertisers will get a dedicated account manager to manage their ad investment, content creation, and campaign performance. The experts are highly proficient in using the best tools and techniques to ensure maximum ROI. 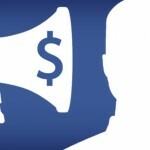 BrainPulse’s FaceBook Ads Management services are ideal for clients looking for a guaranteed way of earning BIG on their Facebook advertising investment. 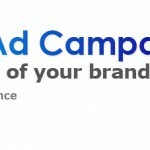 The company has on-board a certified team of Facebook marketing professionals who takes care of FaceBook Ads campaign management for small as well as big business houses. 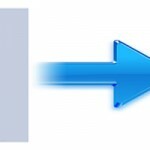 Looking for the quickest way to get started with Facebook Ads, or help to set up a custom Facebook page, contact us.